Summer fishing is incredible on Panama City Beach! Summer fishing is hitting it’s peak. We have had incredible weather and fishing! Amberjack, Grouper, Snapper and King Mackerel have been the main targets and they have fallen one after another. 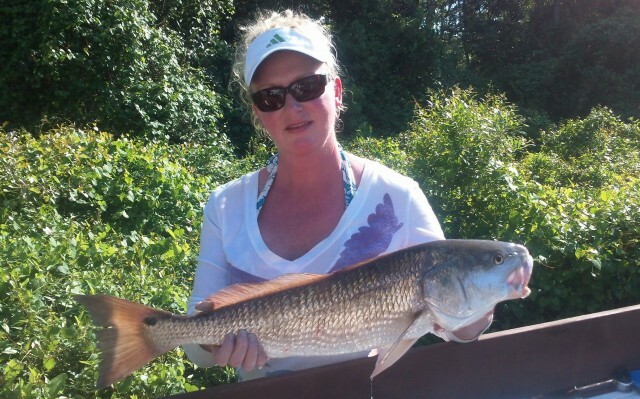 Panama City Beach is the home for monster Redfish! Targeting the bulls of St. Andrews Bay made for an incredible day. Six bull redfish were boated between the two anglers. They each caught their biggest fish to date, with the largest measuring 32 inches in length! The inshore fishing for Redfish and Spanish Mackerel has exploded! Jeffery Register and Cory Krivanec of Gulfport, Mississippi absolutely whacked the fish this morning. 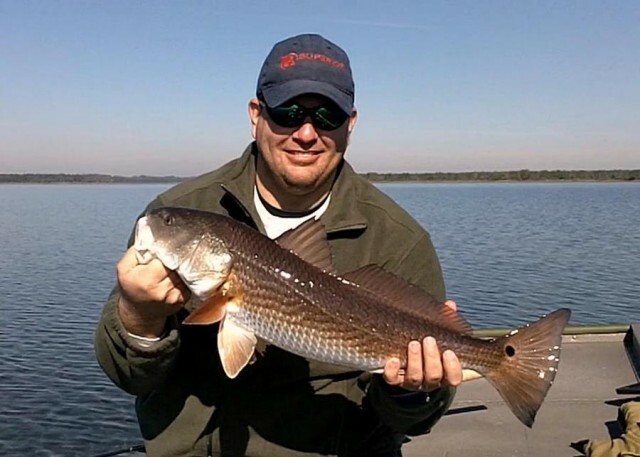 Cory caught his biggest redfish to date, a 33″ bull. It was one of four bull reds caught today. They also caught their limit of 30 mackerel in short time by casting plugs into the frenzy! Panama City Beach redfish are hungry! When the big bulls showed up, the bite was epic. By mid morning, Kevin had boated six huge redfish on live bait. It seemed each fish was bigger than the last. Hollyday! Holly starts off her fishing season with a fury. Spring is definately here. The fishing on Panama City Beach is fast and furious! Holly and I anchored over clear bottom and sight fished sheepshead, redfish and spanish mackeral until the box was full. What an incredible day. Make the most of your vacation! Book with Last Local today! Panama City Beach fishing is kicking off for 2016! Summer 2015 fishing on Panama City Beach is finally here!